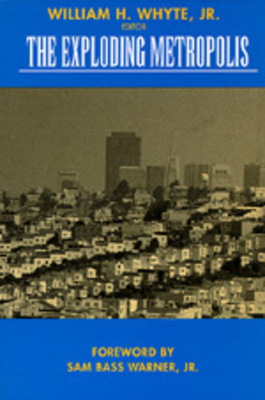 University of California Press, 9780520080904, 228pp. In The Exploding Metropolis, first published in 1958, William H. Whyte, Jane Jacobs, Francis Bello, Seymour Freedgood, and Daniel Seligman address the problems of urban decline and suburban sprawl, transportation, city politics, open space, and the character and fabric of cities. A new foreword by Sam Bass Warner, Jr., and preface by Whyte demonstrate the relevance of The Exploding Metropolis to urban issues in the 90s. William H. Whyte, Jr., editor at Fortune when this book was first published, is the author, most recently, of City: Rediscovering the Center (1989).